1. Which facts are you familiar with about the World's Smallest Mammal? 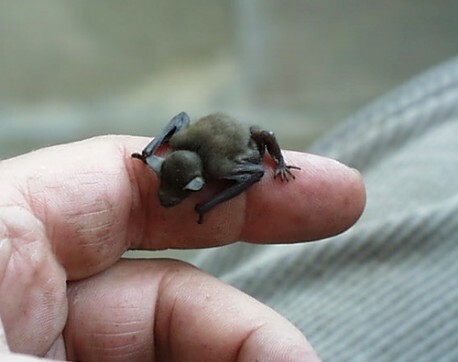 The Kitti's hog-nosed bat is sometimes referred to as the bumblebee bat. They were discovered in the 1970s. They are found in western Thailand and southeast Burma. Their coat is reddish-brown or gray. They also have a distinctive pig-like snout. Their wings seem to be adapted for hovering flight. Colonies vary in size, but most have an average of 100 individuals per cave. Some caves will have smaller groups from 10 to 15, while others will have up to 500. The bat feeds in short bursts of activity during evenings and dawn, foraging for insects. The bat is about 29 to 33 mm (1.1? to 1.3?) in length and weighs 2 g (0.074 oz). 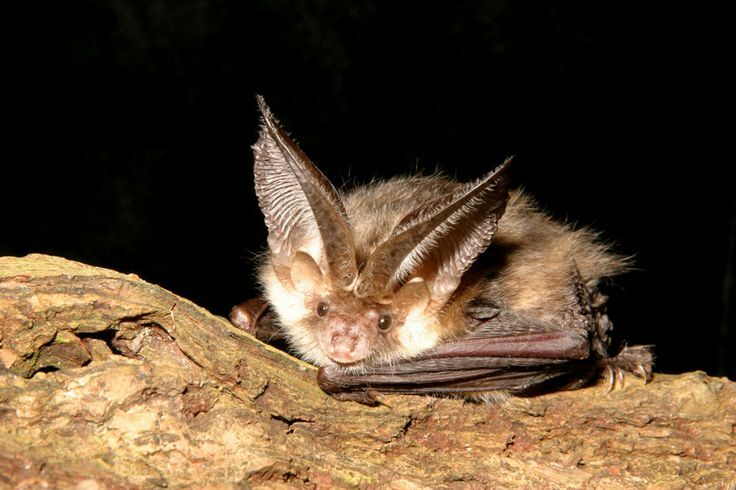 These bats do not use echolocation. 2. 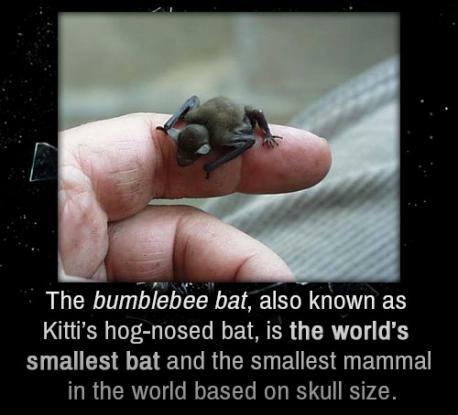 Is this the first time you have heard about the Kitti's Hog-Nosed Bat (or Bumble Bat)? 3. 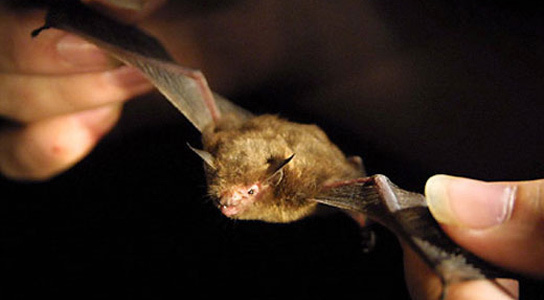 There's much about the Hog-Nosed Bat that remains unknown. Which of these facts are you aware of? Scientists know little about their reproductive behavior. Scientists do not know how they evade their predators. It's also unknown whether colonies stay in one cave or move around to others. 4. Do you think this could be possibly the World's smallest mammal?